"Okay, I'm ready Grazee. Let's see how your presentation is coming along." Grazee walked to the wall screen of the shared media parlor, a space which had a cubist flair currently glowing with cool blue pastels. She had selected the color scheme to accentuate her deep violet clothing and lavender VisAR frames. Wavy locks fell to her shoulder in precise, black ringlets. "Thanks for helping out, Mama. I know you're busy." "Never too busy to contribute a little advice and encouragement to you, sweetie." In Ohio, it had become a rite of passage to submit ones first full-media publication upon entering high school. With only two days of summer vacation remaining, Grazee was fast approaching her submission deadline. Grazee had found enormous value in Mama's ongoing input, especially in building confidence with her delivery. Grazee began with a narrative flourish, "Ghosting in Ohio Culture by Graziana Alpha Hartley." A purple smiley appeared to the side of Grazee's primary VisAR overlay; the emoji mirrored Mama's smile of satisfaction with the initial tone Grazee was setting. "Ghosting has become an integral part of Ohio society increasingly since 2061 when the State established its limited partnership with New York data service providers. The rigidity of New York's integrity standards alongside block-chained reference requirements led to Ohio implementing a state-of-the-art emotive framework within its community networks, both online and offline." Good pacing. Wording still a touch too wiki, slid across Grazee's commentary feed. Grazee cleared her throat an improvised her wording a bit. "As an interesting aside Ghosting derives from the archaic superstition still held by many that spirits survive after human death. As noted in The Skeptics Guide to the Universe these spirits allegedly appear as fully-clothed, transparent beings, often in the presence loved ones in a state of mourning. Work on better eye contact flashed in Grazee's visAR, accompanied Mama's tapping the side of her visAR. "The ghost meme was reinforced by nineteenth century photography. This infant stage of image capture resulted in numerous cases of double exposures during family portraits. Throughout the twentieth century, ghost stories became increasingly popular in global media, especially in the Oosa where afterlife belief systems thrived." Too informal. Sub the former United States of America for Oosa, came Mama's response while simultaneously leaning back in the camelback sofa. Grazee gave a nod to the correction while recognizing Mama's body language conveyed overall pleasure of her spoken delivery so far. "In the early twenty first century ghosting took hold in a very different way in global social culture. Per Wayback and Urban the increase in virtual communication inspired people to increasingly end relationships and otherwise shun unwanted contact using virtual silence and minimalist responses, especially through the popular Texting medium of the time. Psychology Tomorrow cites the human need for intimacy led to a surge in online bot presence and, speculatively, catalyzed the Great Defederalization." Great references; your embedded to spoken ratio is solid at five to one. Mama added two spinning, purple smiley faces to punctuate the comment and, Grazee realized, energize her for the report's finale. 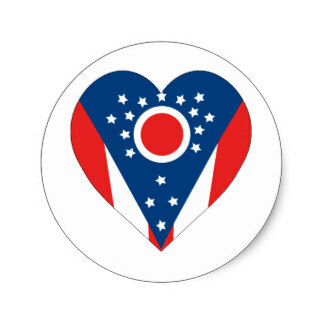 "In 2061, ten years after Ohio's nationhood had been secured, the Family Values Act was instituted statewide. Secular education funding of The Modern Relationship Institute began its implementation of..."
Grazee halted her report. Mama was laughing wildly while smacking the cushions of the sofa at her side. Behind her visAR Grazee's eyes went wide with wonder at how she had incited such hysteria. Then, Mama's brow and chin bulged forward into a dinosaur likeness. Mama's dusky red hair transformed into a halo of orange flame, at which point Grazee vented her surprise into a groaning exhale. Grazee tore off her visAR causing the flaming dinosaur Mama to vanish and yelled out to her sister wherever she was hiding, "Jemmie, stop hacking my Mama construct. I have a report to finish. One more time and I'll tell Geoff and Ray when they get home." Stomping toward the parlor entry, not un-dinosaurlike, Grazee couldn't help but laugh herself at the silliness of the moment. Her frustration evaporated into a playful demeanor as she admonished, "...and if you're going for a velociraptor you got the skull structure completely wrong! Which means if I find you, you're getting tickled to death." Grazee stomped up the stairs in search of her little sister, making a carnivorous roar as she went.